Paying my utility bills in tokens is easy reliable and great idea hope to see this project flourish. YDMP Token is an Utility Token!! YDMP Token holders can pay the transaction Fee while Sending the tokens to others. I love the idea. This will do very well. 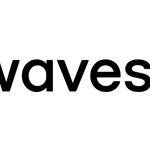 Helpful project, and utility part is great, we can save a lot on transaction fees with waves, hopeful to see for other token exchanges too, will have a great future with returns, appreciate that, thanks. Thanx for sharing on facebook. I sent 2,00,000 YDMP Tokens to your Wallet, You can check it.